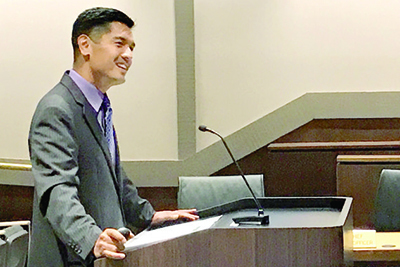 Saying that El Dorado County students are doing well, Superintendent of Schools Dr. Ed Manansala gave a presentation on the state of schools to the Board of Supervisors at its July 25 meeting. Serving some 28,000 children, Manansala noted that students in the county’s public schools are scoring better than the state average on the California Assessment of Student Performance Progress in both math and in English language arts. In eighth grade, for example, 59 percent of county students met or exceeded the standard in English language arts compared to 49 percent statewide. In math 53 percent of county students met or exceeded the standard compared to 36 percent statewide. The county school district is also graduating students at a higher rate than the state average with 92 percent of students getting their diplomas in the 2013-14 school year compared to 85 percent statewide.